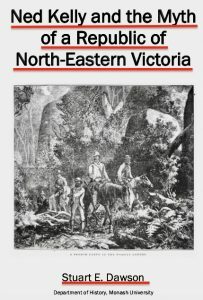 The following is a critique of Steve Jagers response to the recent publication by Stuart Dawson of a free book that discusses the origins of the claim that the Glenrowan incident in 1880 was Ned Kellys attempt to establish a republic of north-east Victoria. Its important to note that I am deliberately calling it a response to the ‘publication’ of Dawsons book rather than a response to the book itself – because firstly, according to Dawsons comment on my Blog, Jager had already published much of this material some years before. Therefore it simply cannot possibly be regarded as a response or a refutation or in any way a direct challenge to the material in Dawsons book, but is instead a re-issuing of a statement released by Steve Jager several years earlier of his reasons for believing the Republic idea has historical validity. Secondly, Jager’s document can be seen to be a reaction to the publication of the book rather than to its content because, apart from two trivial exceptions he doesn’t directly address a single one of Dawson’s arguments. There is no attempt in Jagers article to refute Dawsons arguments – all Jager does is recycle historical claims about a republic, claims which are all directly dealt with in Dawsons book. 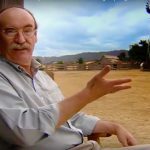 To think Steves piece in any way undermines Dawsons claims is to reveal that you either havent read Dawsons book or else you didnt understand it, or what constitutes actual ‘research’. The two exceptions to Jagers practice of ignoring Dawsons book almost completely are found in the first couple of paragraphs, the first being a misinterpretation of what Dawson wrote. As the whole sentence and the rest of the book make clear, Dawson is NOT claiming that the Republic idea was introduced by Ian Jones from 1967 onwards. All he is saying is that 1967 was when Ian Jones began discussing it. So Jagers argument here falls flat, but for anyone who might not have read the book, it creates a bad, but entirely false and misleading impression. 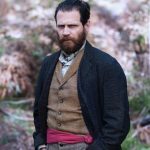 “Since the publication of Dr. Stuart Dawson’s paper, he has also mentioned that Leo Kennedy who is the great grandson of Sergeant Michael Kennedy, will also be writing an article to mention that as a child he overheard a conversation in Shepparton between his father and Thomas Patrick Lloyd in which Lloyd mentioned he, “fed those nuisances a whole lot of nonsense” deliberately “to make them look stupid”, in reference to Kelly researchers who had approached him for information regarding the republic. As the various stories told by Thomas Lloyd illustrate, oral history can indeed be ‘problematic’. In fact, with perfect timing to illustrate my point, this very weekend a clash in oral history has been exposed with a living Lloyd descendant claiming that she sat in on the interview her father gave to Doug Morrissey, and the kelly republic was never discussed. Morrissey now asserts he has never met this woman, that her father gave him several interviews, that most definitely they discussed the republic, and Lloyd told Morissey it was a fabrication! 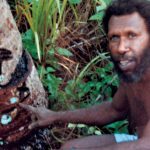 So whose oral tradition are we going to accept? I am sure neither of these people are telling lies, and that there will be a perfectly sensible explanation as to why their two recollections seem to be incompatible, but until that has been found, who can be sure exactly what took place? The point about oral history is that it shouldn’t be automatically rejected as rubbish or immediately accepted as reliable history but instead claims need to be carefully scrutinised and used with caution. On page 24 of his book Dawson discusses the place of oral tradition in the Kelly Republic story in detail, but Jager doesn’t discuss the arguments there. His point about oral tradition also falls flat : Dawson does not contradict himself. So, other than these two minor comments which miss their mark, Jager completely ignores the content of Dawsons book, and instead goes on to list and quote extensively from documents that he regards as supportive of the republic, but there is no attempt at any kind of analysis of any of them. In relation to the first two articles that he lists he comments : “As a Kelly researcher, the direct mention of papers and documents citing Kelly’s plans cannot be overlooked on this subject.” Indeed, but then Jager does overlook them, offering no further analysis of the origins or the reliability of these claims, something which Dawson most certainly does do. These two articles, from 1945 and 1947 are not just mentioned but discussed carefully by Dawson, who traces the origins of the claims in them, such as that ‘papers and documents citing Kellys plans’ were taken from Ned Kellys pocket when he was captured. He showed they are both linked to an article in the 1900 Bulletin which was what Dawson describes as a spoof. To illustrate : imagine someone wrote an article that was published in Spectator magazine proposing as a joke, that Chopper Read could have been Australia’s first president under the proposed republic. And suppose that years later someone saw that article but failed to recognise that it was satire, and then wrote a piece on the plan to install Chopper read as Australia’s first president. And then someone else quoted that article, took it a little more seriously…and so on, till eventually children were being told at school that Chopper Read was nearly Asutralias first president. THAT is exactly how the Republic story began and those two articles Jager mentions from 1945 and 1947 are examples of how later writers had started to lose sight of the fact that the original article was a joke. They started to write about the Republic as if it was true. Going forward, Brown picked up on the speculation and then Jones, McQuilton and Molony went to town on the idea and turned it into fully developed explanation which became accepted as fact. To refute Dawsons claims Jager needed to address those arguments, not just point to those articles and pretend Dawson hadn’t already taken them into account in his book. 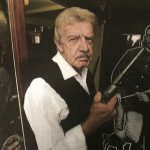 Next, Jager mentions an article from 1995 by Phil Maguire that talks about the fabled ‘Declaration’ supposed to have been taken from Ned Kellys pocket at Glenrowan and seen by Len Radic in 1962 in London. As a Kelly researcher, Jager ought to already have known that the original claim about documents taken from Neds pocket at capture, was a report of a ‘rumour’ – about letters and a notebook. It was nothing more than a rumour and yet from this ‘rumour’ all manner of totally baseless speculation has emerged about what the letters were, including speculation that one of them was a republican declaration. But here are the facts : that claim is speculation about a rumour! – there is absolutely zero evidence to support that claim. Its quite possible this rumour was baseless and nothing at all was taken from Ned Kellys pocket. But if something was taken, nobody has any idea what it was. This article by Maguire, and the role of Len Radic in the Kelly republic is extensively detailed in Dawsons book. Jagers response to the book should have been a response to the arguments Dawson made in it about the article and about Radic. Simply reposting the Maguire article and not addressing Dawsons remarks about it is pointless. Recycling speculation about a rumour is not ‘research’. 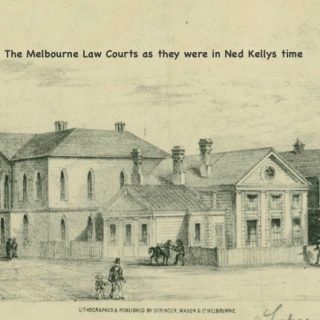 Jager next provides a link to a speech about the Kelly republic given by John Phillips former Chief Justice of Victoria. Again, there is no commentary, and certainly no mention of the fact that in his book, Dawson examines all Phillips’ claims, and answers them in great detail. Lastly, Jager lists a number of phrases plucked out of the Jerilderie letter and from a couple of letters written by an anonymous ‘Lady’ and speculates that these “are clues to the existence of Kelly’s Republic/Rebellion”. It is of course a long bow to draw, given that none of them actually mention a republic, and neither did Ned Kelly. 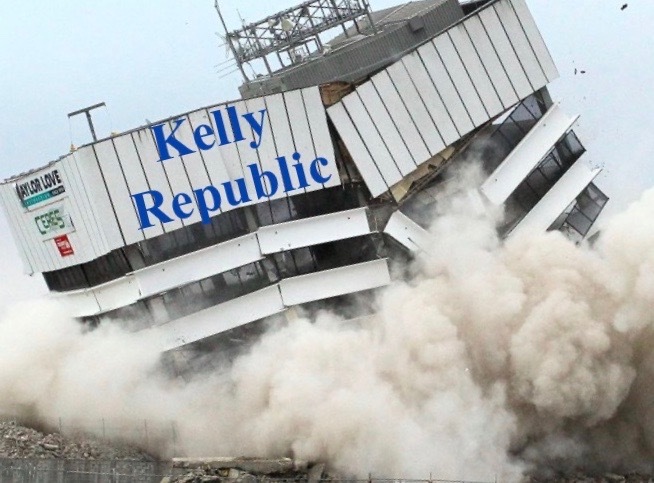 In fact nobody then or for many decades afterwards saw what Jager sees in those same words, and Jim Kelly, Thomas Lloyd, James Ryan and J J Kenneally all believed that the Kelly story without a Republic chapter was the ‘complete’ story. To the people who praised Steve Jagers research, and to Steve Jager himself, I say it was a commendable effort, but there’s a lot more to research than just posting a list of other peoples claims and opinions. 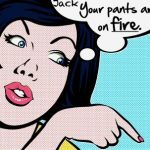 Real research requires tracking down of every one of those claims, not just a section of them, and careful analysis of them; it requires tracing claims back to their sources, looking for every possible relevant piece of evidence, and it requires a rational and logical discussion and conclusions. 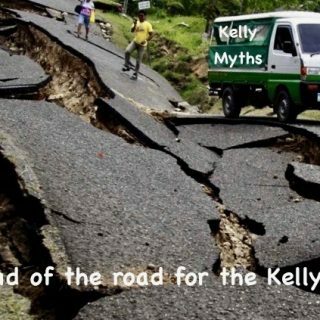 And when it comes to the Kelly republic myth, that’s exactly what Stuart Dawson has done. Hi Dee, you noted that "according to Dawsons comment on my Blog, Jager had already published much of this material some years before". I do that with every article I keep, so I can provide the source URL reference in anything published. My tip is to just copy and paste the URL and type in the access date under the heading of your info, so it is ready to hand. I also do that with every downloaded Trove article and other things, or add the access date to the file name for download PDFs. That's how I can cite URLs and access dates when drafting articles, without having to go and look everything up again. This simple trick saves a huge amount of time. You have to do it for any academic papers, even though it probably looks excessive for many people. A helpful hint for any researchers out there! Thanks Stuart. Alf thinks Steve Jager was a tad lazy by presenting his republic snippet collection again, instead of properly analysing what Stuart actually wrote in his book. No-one of any importance (like Ian Jones, Molony, etc) has responded to the book yet. Nor the MacFarlane and Morrissey books which wisely have been left alone. All three books were based on real "great research". Steve J still has 'Learner's' plates! Huge congrats Dee on getting more than 314K hits on this blog! But that makes me wonder why you need to do so many fake posts – as proclaimed on the hate page? Most of the posters names here I recognise from years ago on many other sites, many of them not run by you Dee. Those posts could have been faked anyway, but if so you must be the busiest individual in the universe, with hordes of staff. Quite right, Anonymous, in most cases the PDF download date would be the access date, so no need for additional date recording. But sometimes such as the McIntyre Manuscript made up of several PDFS, which I later joined together into one for convenience, I want the original access date when I got it to check something, not some late date when I resaved the separate files into one. Anyway, you do it you way, Ill do it mine. You are certainly an expert at making made-names.